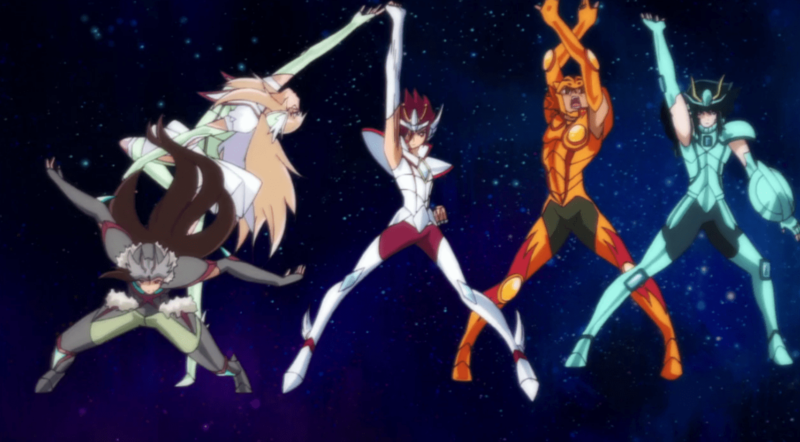 This week we look at Saint Seiya Omega’s first year. 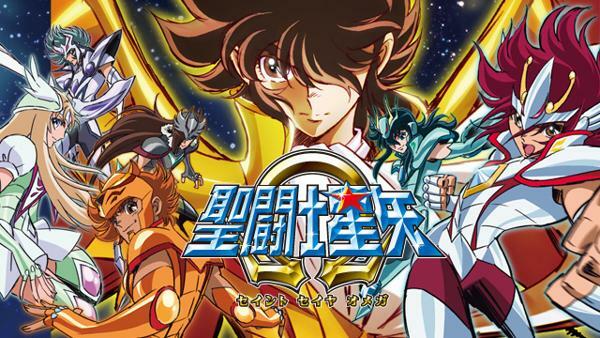 Launching in 2012, Saint Seiya Omega is an interesting oddity when compared to other shows based on older properties. Omega isn’t quite a sequel but it definitely isn’t a reboot. The series seems to take place in an alternate future based on the original world. The world of Omega (and the original) is one where young warriors are capable of manifesting ancient powers known as “cosmos” in a seemingly neverending war against forces who threaten to destroy Athena, an ancient goddess continually being reincarnated. 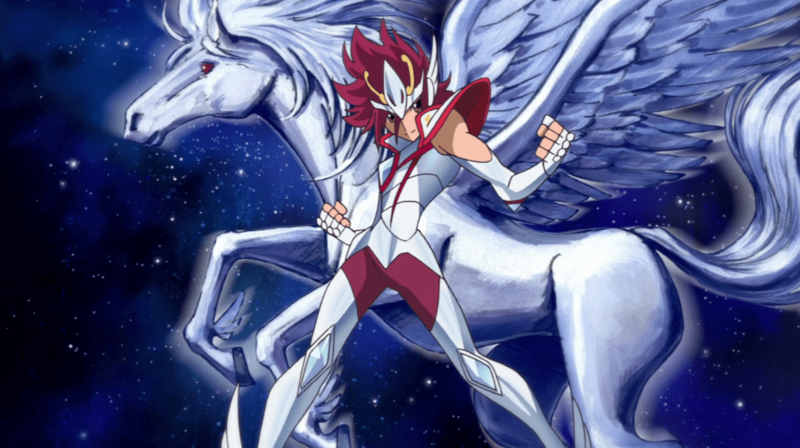 Omega follows Koga, a young Saint and newest user of the Pegasus Cloth, once worn by the lead of the original series. Koga is an orphan who has been raised on a small island by a woman named Saori, who has a strong connection to his past. Once Koga awakens as a Saint, he is sent to Palaestra to train. Along the way, Koga encounters friends who will eventually help him save the world. That’s your basic story for Omega. And by basic, I do mean basic. The story changes settings pretty fast and gives you an interesting set up for later story arcs. As an introduction, Omega can be a little jarring at times. When I watched this show, I wasn’t as familiar with the original story as I am now and had trouble following certain aspects of the story. I think the show eventually realizes this can be a problem and starts doing a much better job at integrating aspects of the older show in a way that won’t alienate newer viewers as much. If you’re an older viewer, you’ll probably love this one from the get go. There are some seriously great callbacks to the original series in the form of updates regarding the lives of specific characters. As the story of the first year progress, Omega becomes more and more like the original in terms of structure, which I’ve always thought of as a shame. I’m not the biggest fan of the “Gold Saints” arc in this series and am especially upset that it cuts short a fantastic arc that I thought was building the series up to be a great ride. The early Palaestra arc isn’t the most engaging think and, admittedly, it took me a bit of time to work my way beyond it, but thankfully the arc isn’t the longest thing in the world and is actually over pretty fast. Once you get beyond that arc, you get a story that lets its characters shine, throws them into interesting environments, and has them interacting with each other in ways not exactly possible during the first story arc. On an animation front, Saint Seiya Omega can be a bit of a tricky beast to handle. Yoshihiko Umakoshi provides wonderful, fluid character designs that help set Omega apart from its predecessors. If you’ve ever seen or read any of the original, by Masami Kurumada, you’ll know that he has a very distinct artistic style. From a pre-production stand point, looking at the character designs is a joy. There are bright colors, sharp angles, and stylish armor designs, although not as intricate as the originals, the armors in Omega are meant to be more compact and almost cloth-like in nature. Annnnd that’s where the praises for the show’s animation sort of have to stop. Omega’s key animators were from Toei’s up and coming Toei Phils. Studio, which still has a long way to go before it can compete with the main studio. Umakoshi’s distinct designs are wasted on a staff of animators that take a lot of shortcuts. What strikes me as the perfect example of this show’s failings is the “money shot” from the first opening, the climax of the sequence. Characters are in dynamic poses, but their features, eyes, heads, etc, are all off and just jarring to look at. If you think this is an isolated thing, yeah, it’s not. Omega requires a less discerning viewer. It’s great when there’s fast paced action going on; Umakoshi’s designs with the fluid motion help mask a lot of this show’s failings, but otherwise, it’s very hit and miss. In the long run, Saint Seiya Omega, at least in its first year, which covers about four arcs, is a very difficult beast to judge. I’ve never been a fan of the longest lasting arc in the show, but it’s surrounded by some of the best episodes in the entire series. Once the Gold Saints comes to an end and the climax of the first year begins, you get an overall improvement in animation (which is still hit and miss, but better than before) that lends weight to a more dramatic story – though the final Gold Saints episodes had been leading that way in any case. If you’re interested in checking out Saint Seiya Omega, the entire series is available for streaming in multiple languages over at Crunchyroll. Join us next time when we cover Guyver. I have to wholeheartedly disagree with this, for you see, i actually watched Omega as it aired and i can tell you that pretty much most of the fans of the original series either hated or didn´t care about this show. The reason for this was actually quite simple: from the use of pendants to “transform”, the elemental nature of cosmos and the whole deal with the palaestra, Omega is a huge departure from what Saint Seiya is supposed to be. Fans of the franchise simply didn´t take well such a radical change. In my personal case i grew up watching the original show so i was a bit hesitant about Omega back when it was announced, but i was actually hopeful about it since i knew that the production crew behind this show were actually quite talented (Omega had basically the same staff as HeartCatch PreCure). So i went into this show with an open mind and hopes for the better. Sadly, this show became dissapointing for a number of reasons, the main one being the huge backslash it got from the fanbase; the reaction from the fans of the franchise was so negative that Toei actually started retooling the show and the end result was an uneven show with some great moments but also some dull and wasted ideas. Omega is an uneven show that was plagued with producers meddling, something that becomes more obvious during the second season (they literally spent the first 10 episodes of S2 undoing everything S1 did), but this is hardly the place for that conversation. Still, there is no harm in watching this show and it can actually be amazing at times (the stretch of episodes 21-30 comes to mind), but there is a lot of potential that becomes wasted and the end result is show that while can be good, it never really becomes great.